For very long time, this race circuit was the only road racing circuit in former Soviet Union. Since autumn 2012 auto24ring is the only road racing circuit in Estonia that is fully renovated and meets FIA Grade 3 requirements. 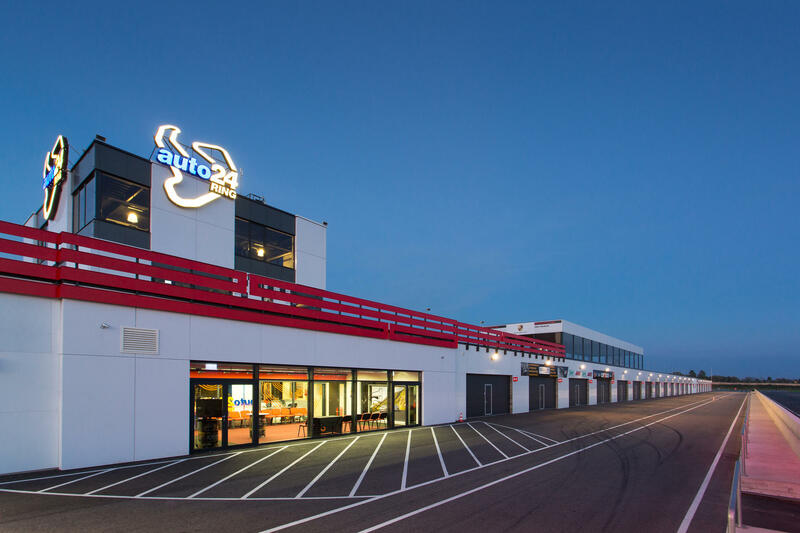 It is also one of the newest racing complexes in the entire Northern Europe. In total 4.8 million Euros were invested to the asphalt surface and renewed configuration. Estonia enjoys a long tradition of motor sports. The first competitions were held here in the 1930s, but it wasn’t until the late 1950s that the sport gained true popularity, when the first ‘Estonia’ Formula One cars were produced in Tallinn. Serial production was launched a couple of years later, and for the next three decades motor sport was kept alive in the Soviet Union – which at the time covered one-sixth of the entire planet – solely by the ‘Estonia’ cars. As a result, not surprisingly, the majority of leading drivers were Estonian. More than 1300 of the ‘Estonia’ Formula One cars were constructed by Tark (later Kavor), which was one of the most prolific producers of the vehicles of all time. auto24ring is just off the Pärnu-Lihula road. Its geographical coordinates are 58°24’22” N, 24°27’8” E.) The circuit is easily accessed from any of three directions, and the completion of the northern section of the Pärnu ring road will improve access even further. Pärnu Airport is located right next to the circuit. Pärnu, the city not far from which auto24ring is situated, is the fourth biggest in Estonia, with a population of 43,000. It is the country’s most prominent beach resort. The Via Baltica – the highway running from Tallinn to Warsaw in Poland – passes through the city, which also has its own port and airport. It is a tourist magnet in the warmer months and is officially awarded the title of Estonia’s summer capital every year during Midsummer celebrations. There are a lot of hotels, spas, sanatoriums, cafés, restaurants and entertainment venues in the city, which also hosts a large number of cultural and sports events. Its biggest drawcard, however, is its white, sandy beach, which the British newspaper The Independent named as one of the 50 best beaches in Europe in 2011. Great beaches can also be found north of the city (at Valgerand) and to its south (Uulu and Kabli). There are other popular tourist sites close to Pärnu, too. The island of Kihnu, which boasts a unique local culture, is situated in Pärnu Bay, while inland you will find Soomaa National Park.